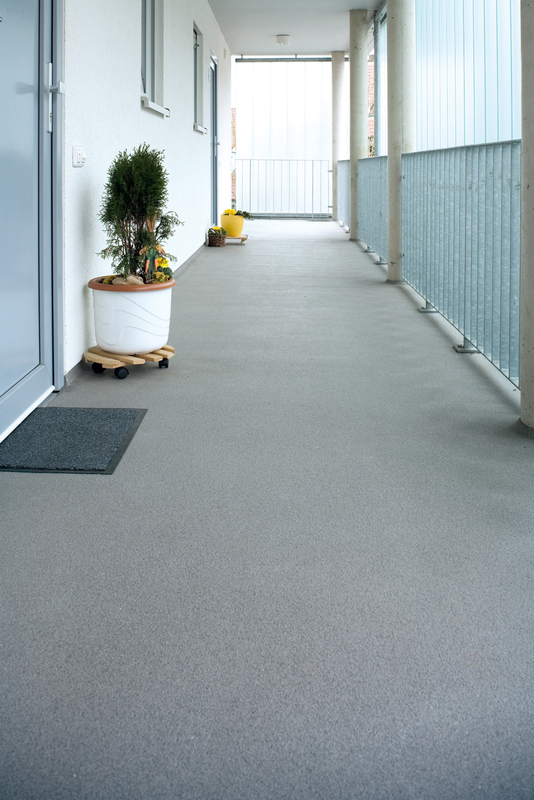 Silikal presents the most beautiful, as well as the least slippery, outdoor waterproof flooring. 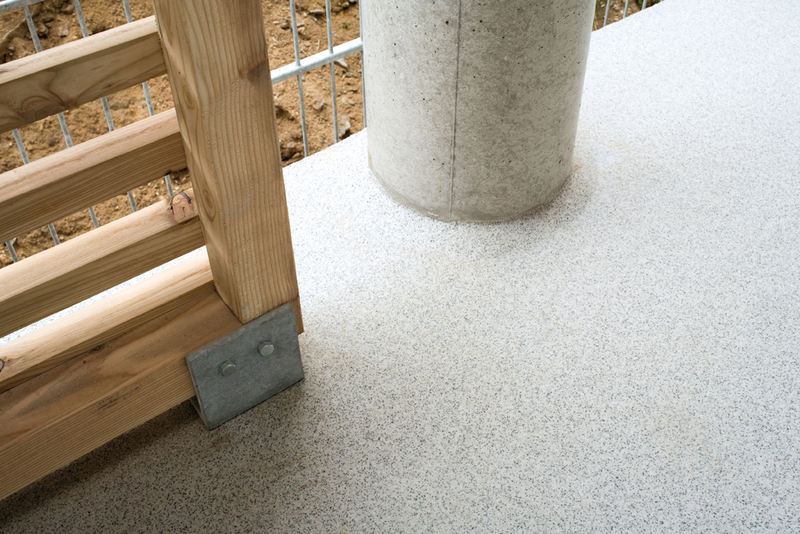 Waterproof flooring for outdoor use must absolutely be pinhole free as well as being fully monolithic. Waterproof floors for outdoor use are truly tested when they are utilized as part of a constantly moving water fountain found outside. There are a number of reasons why someone would be searching for outdoor waterproof flooring. Perhaps they are going to put up a great patio from which to watch birds and other animals that wander past their patio. Or, perhaps they wish to have a patio from which to watch the kiddies play in the pool? Maybe they like to entertain, and want a dance floor for the other adults who come to their house to party? Whatever the reason, looking for outdoor waterproof flooring is difficult at best because there are so many different kinds of flooring available, and how do you choose the best one? If you check online you may run into aluminum decking. 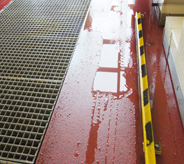 Now granted that’s looking deeply for solutions but the only reason that the decking is waterproof is that it has a draining system built into itself that may easily clog up, if you read the literature carefully. Moving on. Then you may run into China made outdoor decking. This is made of a wood/plastic composite that is shortened to WPC, but ecologically it is said to probably last forever. Perhaps, but it has such a fake look to it. Moving on. Perhaps you’ll pull up the next choice of recycled rubber tires that have been made into outdoor rubber flooring. 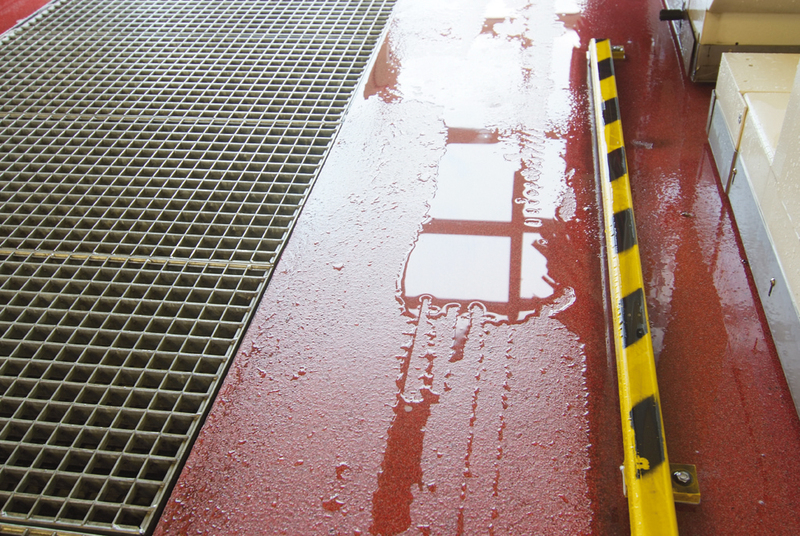 Their advertising concentrates heavily on things such as the “high coefficient” of cushioning effect and friction when applied to rubber, and how it is going to protect one against slip and fall danger. Yes, one would suppose that is true, but not the image one wishes when seeking outdoor waterproof flooring. Moving on. 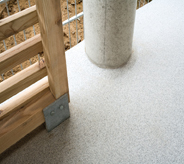 Your research may well take you to “snap together” outdoor waterproof flooring. Somehow the terms “snap together” and “waterproof” are an oxymoron for me, much as an “original reproduction “ did not make sense to me. Moving on. Finally you may find the original Silikal site. There you will learn what makes Silikal truly waterproof, how it hermetically seals the very concrete it binds with so that not even a pinhole will allow any moisture to come through it. You will find that it’s perfect for outdoor use as it will absolutely not fade with the sun’s rays. You will learn how Silikal will still be around long after your outdoor spot is no longer the same at all, possibly non-existent! Silikal is it, no more reason to move on, you call the local Silikal representative.